This young recluse occupies the nexus where Ted Kaczynski and Aleister Crowley overlap. It is a decidedly anti-social place to be, but he anticipates a powerful payoff for his esoteric explorations. 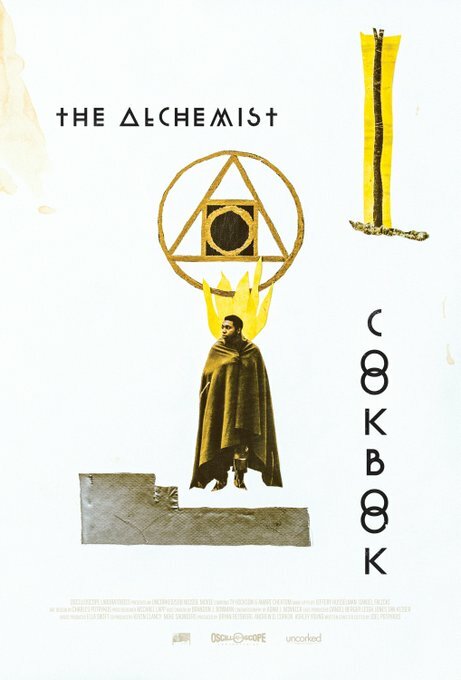 Unfortunately, he is either going stark, staring mad or has attracted the attention of profoundly sinister forces (or perhaps both) in Joel Potrykus’s The Alchemist Cookbook (trailer here), which opens tomorrow in select theaters and also releases on VOD and as a special pay-as-you-wish bit torrent package, courtesy of the filmmaker and Oscilloscope Films. Shunning society, Sean has sequestered himself to a trailer in the Michigan woods, where his experiments apparently combine chemistry, the occult, and the sacrifice of small woodland mammals. He seems to think he is locked in a death struggle with a demon that haunts the woods, but it is important to remember Sean has gone off his meds. His cousin Cortez periodically brings him supplies, but somehow he left behind the anti-psychotics (of all the things he could forget), along with the eggs (making matters even worse). Cortez is Sean’s lifeline to civilization, but things are already awkward between them and become ever more frayed as the film progresses. Sean sure seems to be losing it, but that also might mean his very soul is in jeopardy. Cookbook is definitely going for a Polanski vibe of madness and warped perspectives that openly invites us to question whether or not the menace is truly uncanny or imagined. However, it might be too subtle and reserved for its own good. When the film finally commits it essentially functions as a punchline rather than a climax. Still, it mostly works on its own ambiguous terms thanks to the small ensemble (two people, a cat, a possum, and maybe the demon Belial). As Sean, Ty Hickson starts out unnervingly edgy and goes convincingly bonkers from there. However, it is Amari Cheatom’s Cortez who really makes the film, providing much needed energy boosts and serving as a credible audience surrogate, asking all our WTF questions. The way he and Hickson play off each other suggests years of complicated shared history. There are a few scary moments in Cookbook, but probably not enough to classify it as horror. Still, Potrykus’s masterful mood and slowly building tension are pretty impressive. Basically, it is a genre film for cineastes who consider Robert Eggers’ The Witch to be too explicit and pandering. DIY makers can download the bundle here and it also opens tomorrow (10/7) in Dallas for more conventional patrons at the Texas Theatre.